digitally or via our call center. 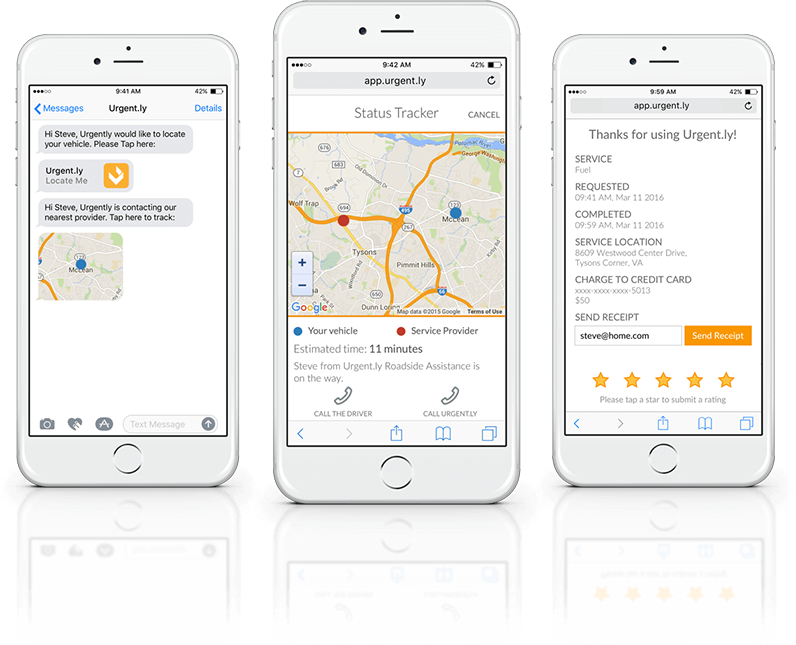 programmatically matches customers with nearby, qualified, available service providers. Real-time job management and accountable data from dispatch to final disposition both on a job level basis and the aggregate. Real-time tracking, connected stakeholders, with digital and analog communication channels from dispatch to final disposition. One platform to automatically match your customers with nearby, available, and high-quality providers across the globe. Unlock the black box of legacy provider data and gain real-time and aggregated insights into every incident with rich data capture and reporting. Meet your customers in their preferred channels and enable the transition from an analog to digital experience. Inspired by Zappos and Nordstrom, we deliver super-serving customer experiences that translate to industry-leading CSAT and NPS. Urgent.ly Co-Founder & SVP of Product Rick Robinson, at INFINITI LAB Smart Mobility in Singapore, where Urgent.ly was recognized as a global thought-leader in on-demand service and platform technology. Learn more about how the Urgent.ly platform works. Learn how Urgent.ly can transform your customer experience today. OWN A TOWING OR ROADSIDE ASSISTANCE COMPANY? Thank you. We’ll be in touch shortly.